Boucheron, Hathi elephant ring in white gold with diamonds and sapphires. Originating from a mythical Orient, the elephant of Hathi, the elephant ring, Hathi meaning “elephant” in Hindi, is a symbol of wisdom and prudence. 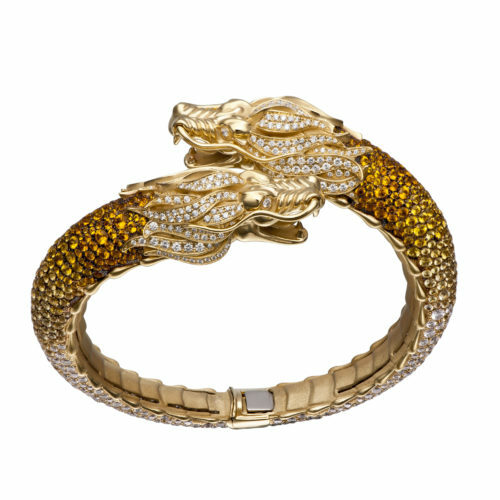 Carrera y Carrera, Circle of Fire Dragon bracelet in yellow gold with sapphires and diamonds. Dragons are the universal symbol of strength and power. This bracelet brings the smallest details of this mythological animal to life, just like dragons born from earth and fire. The Lion is back! With LEsprit du Lion, Chanels inner lion imposes its strength once again, representing Mademoisselle Chanels quench for freedom and inner spark. 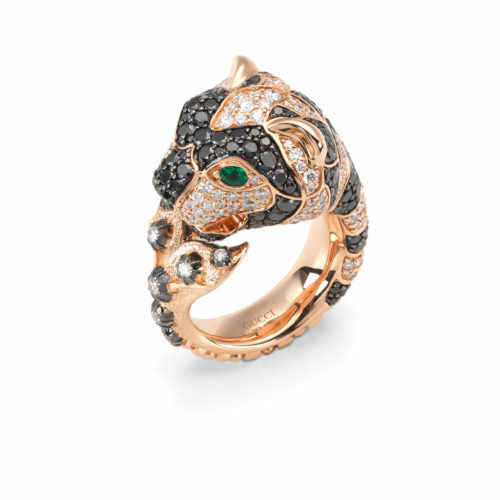 Gucci, Tiger ring in pink gold with black and white diamonds and emerald eyes. This golden ring is designed as a symbol of power and strength and will take your look to the wild side. Lydia Courteille, yellow gold necklace from the Sahara collection with opals, citrines, topazolites, hessonites and sapphires. The snake is powerfully connected to life force while as a spirit animal, the snake provides guidance about life changes, transitions on physical, emotional and spiritual level. 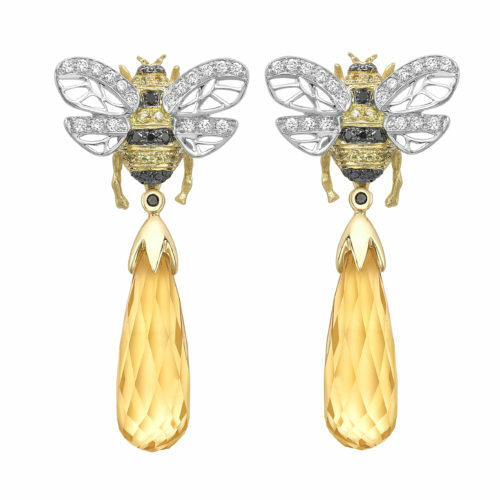 Theo Fennell, white and yellow gold Bee Drop earrings with diamonds and citrines. Bees are bringers of good luck and prosperity and are especially good for attracting wealth. They also represent wisdom and immortality. 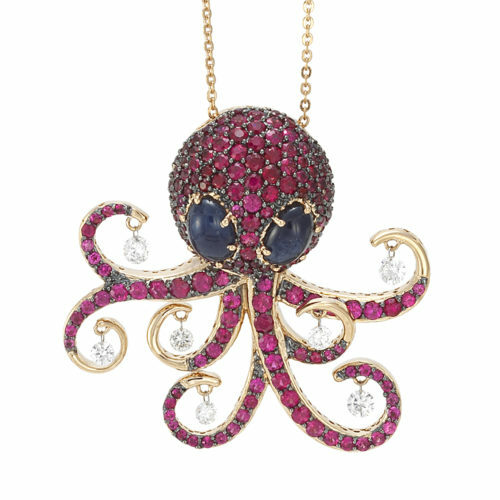 Ponte Vecchio Gioielli, Octopus necklace in yellow gold with rubies and diamonds. The octopus is a strange-looking creature that gracefully moves though-out the sea, it symbolizes purity, emotion, psychic and creativity. 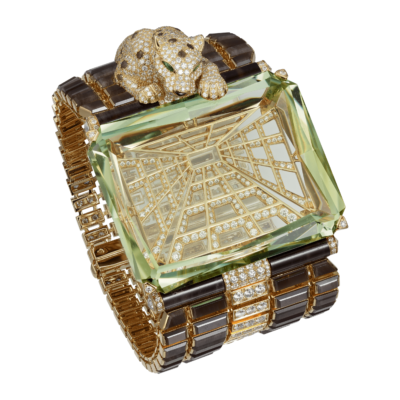 Cartier, Panther bracelet in yellow gold with garnet eyes, onyx, brown and white brilliant-cut diamonds. In the middle, an octagonal-shaped yellowish green beryl, brown obsidian and pear-shaped tsavorites. 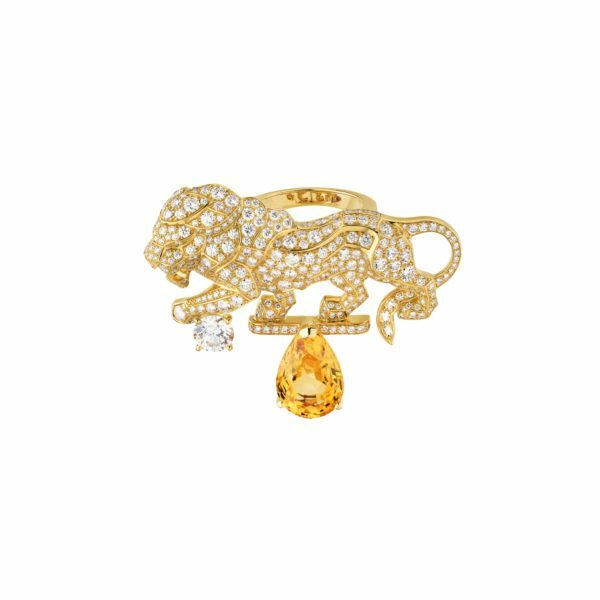 Rich in history and elegance, the Cartier panther may be the classiest cat there is. 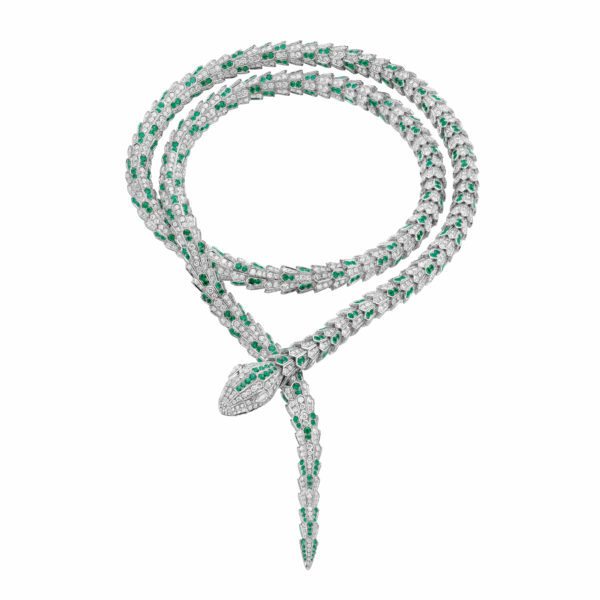 Bulgari, Serpenti necklace in white gold with diamonds and emeralds. 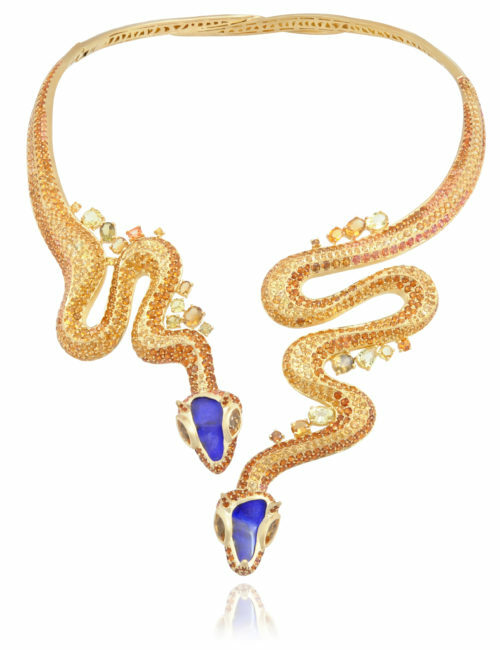 This extraordinary jewel coils around the neck striking with the precious beauty of the scales and with distinctive sinuosity of the snake, the symbol of power and seduction. The post Animal Kingdom appeared first on JFW MAGAZINE.